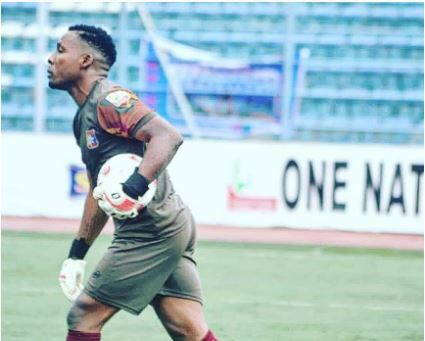 Remo Stars Football Club (RSFC) Goalkeeper, Fabiyi Emmanuel says he is quite confident that he will get a clean sheet when his side face Enyimba this weekend. The Sky Blue Stars are guests of the seven-time champions, Enyimba on Sunday at the Enyimba Township Stadium in Aba, Abia State as the Nigeria Professional Football League (NPFL) enters match day eight (8). The People’s Elephant won all two encounters between both sides, they defeated the Sky Blue Stars 1-0 at the Gateway International Stadium, Sagamu and also won the reverse fixture 1-0 in Calabar back in 2017. The Sky Blue Stars are still not enjoying life in the NPFL after returning from the Nigeria National League (NNL) and they are now tasked to turn things around by ensuring they get something when they face the two-time African Champions. Enyimba Football Club have amassed seven points from six games while the visitors, Remo Stars FC have five points from six games and are currently eleventh on Group A table. “This Sunday’s match is very important to us and we have given ourselves the responsibility to get something from Aba if we are given the opportunity because we need the result more.” The Goalkeeper concluded.